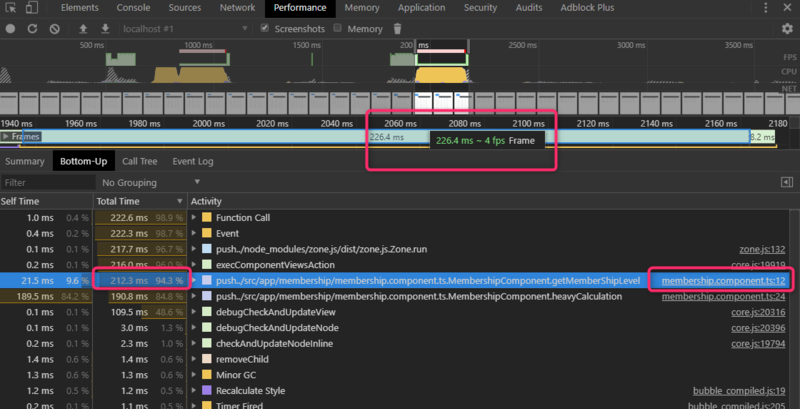 Learn how to improve your performance using the change detection functionality that comes with Angular out of the box. Angular change detection helps us reflect our component data to the user. 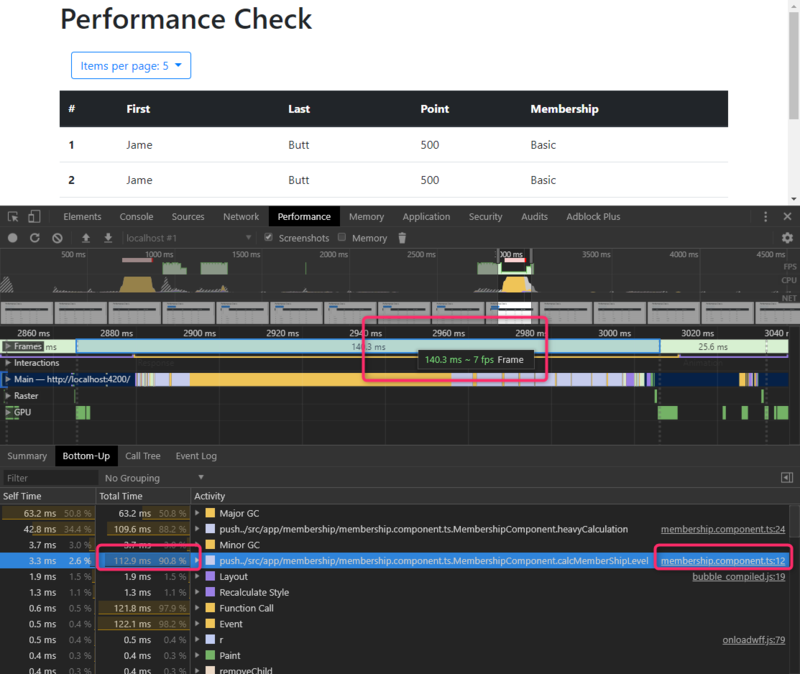 If you don't use it properly, you can easily hurt your front-end performance. 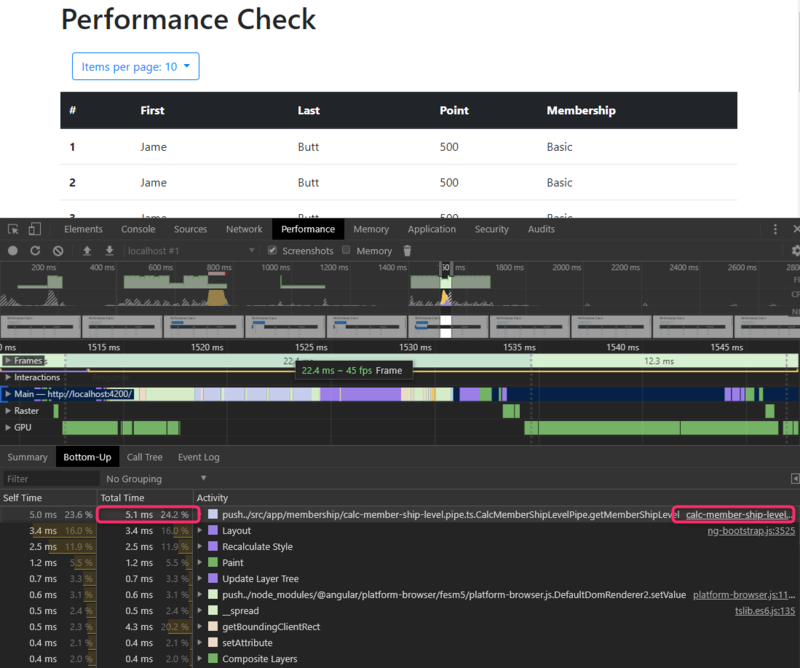 In this post, I'll use Chrome Dev Tools for measuring the performance. We have an app component with a drop-down list to change the number of items per page. 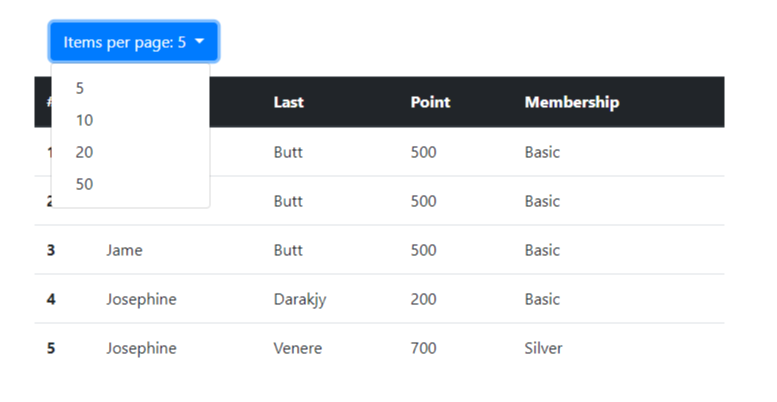 Inside the app component, we have a membership component to display a list of our users and their level of membership. The function heavyCalculation inside of the calcMemberShipLevel function will simulate each membership-level calculation and take 10ms to finish. In a real use case, it can be a heavy calculation or make you end up waiting for the result to be returned from other sources. You see the function gets called many times, even though we still have not selected an item in this dropdown list. Even worse, if I choose to display five items per page, the performance becomes really bad. As shown below, it gets only 4FPS and that function takes more than 200ms to finish. Angular change detection will be triggered when there's an event that happens, like a mouse click, and it will check all individual components, even though there's no change in the data. As in our case, we click on the drop-down list and the function gets called because Angular cannot detect whether the result of thecalcMemberShipLevel function is changed until it runs the function. 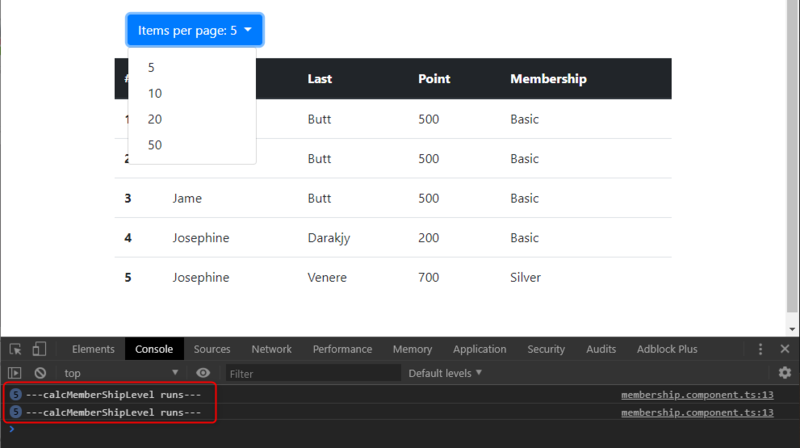 Now we'll try to make the change detection on the membership component only get triggered when it gets new input data. With OnPush, change detection will be triggered when the component gets new input. 'New' here means a new reference to a data object. Next, I'll use the Immutable library to accomplish this step. The Immutable library helps us simplify the process of copying new objects and add memory optimization by reusing the data without completely copying all the data to the new list. For more about this library, check it out at its home page: Immutable. You'll see that calcMemberShipLevel only gets called after we click and it takes more than 100ms to finish; the FPS rate increases to 7 (almost 50% improved), but it's still really bad. Still, there's one more technique we can apply to improve it. If our function is pure, which means it has one input, we'll always get the same returned result. We can apply Angular Pipe to cache the result next time we use it; this will help us save a lot of effort. For more about Pipe, check it out in my another post here. Now with the result in cache, our performance is really improved as in picture 45 FPS. We used OnPush change detection to make Angular change detection only get triggered when needed. We used Pipe to cache the result of our function in the template if it’s a pure function. Last, but not least, always remember to measure to make sure your performance doesn't hurt the user experience. Don't forget to check out the source code here.